Zircon brick / Zirconia bricks produced by stable zircon sand have the advantage of mechanical strength, excellent stability to thermal shock, resistance to corrosion, high refractoriness under load and inertness, high density, etc. It is widely used in glass furnace, non-ferrous metal smelting furnace, and pure steel furnace. Please see listed applications on lower right of this page. We handle many types of Zircon/Zirconia bricks and other Zircon related refractory bricks: High quality Zircon Brick, AZS Brick or bonded AZS brick, Oxidized Fused Cast AZS Brick, and Zirconia-Mullite Brick, etc. Please contact KT Refractories for detailed information and datasheet. 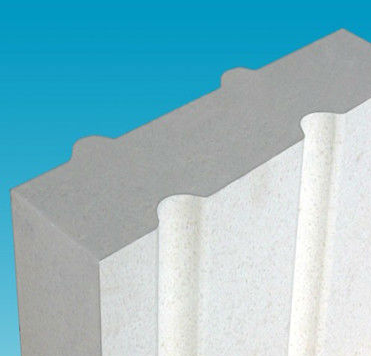 KT Refractories distributes Zircon Bricks, Zirconia Bricks, AZS Brick or bonded AZS brick, Zircon Mullite Bricks, and other refractory bricks of the best quality at the most competitive prices worldwide. Call 1-877-365-2995 to order Zircon Bricks, Zirconia Bricks, AZS Brick or bonded AZS brick, Zircon Mullite Bricks, and other refractory bricks, and our fast, responsive customer service and reliable delivery service will save you time and money! 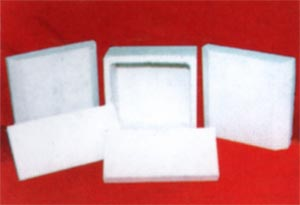 Technical data for other Zirconia Bricks, AZS Brick or bonded AZS Brick, Oxidized Fused Cast AZS Brick, and Zirconia-Mullite Brick are available upon request. Special region of glass tank, such as paving part and secondary layer of paving bottom, back lining, wall and bottom of fore hearth, flowing spout and spinning portion, melter, etc.